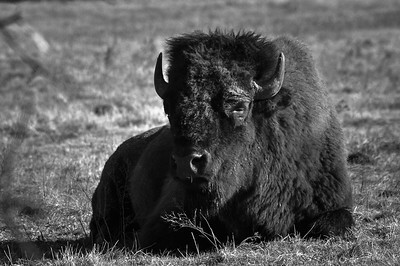 A large male Bison sits on the prairie enjoying the warmth of the day. 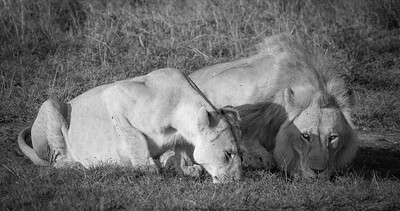 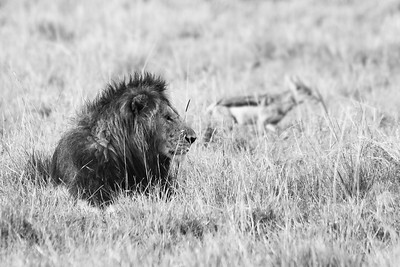 A pair of Lions taking a drink to quench their thirst on the plains of the Masai Mara. 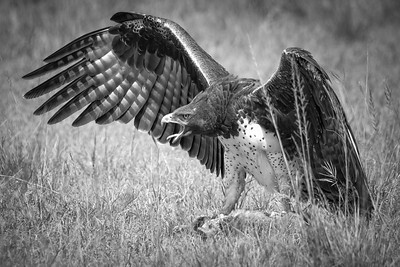 A Martial Eagle defends its recent kill on the plains of the Masai Mara in Kenya, Africa. 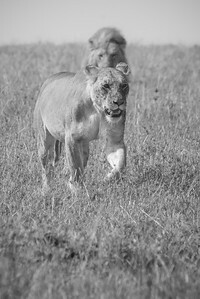 A female Lioness walks with haste as a large male follows closely behind her. 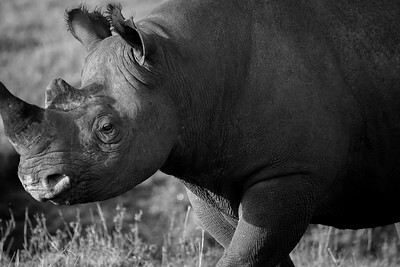 Two endangered Black Rhino's test each others strength on the plains of Eastern Africa. 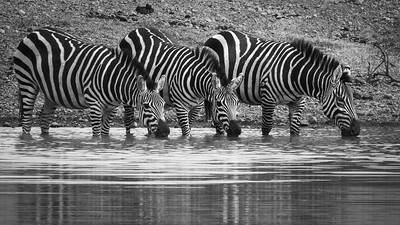 Zebra drinking cautiously within an African waterhole. 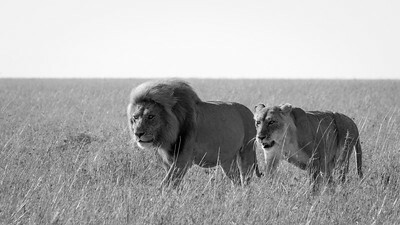 The King and Queen of the Masai Mara. 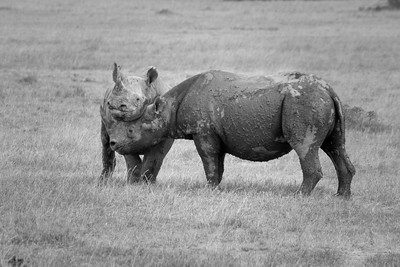 A Black Rhino on the plains of the Masai Mara in AKenya Africa. 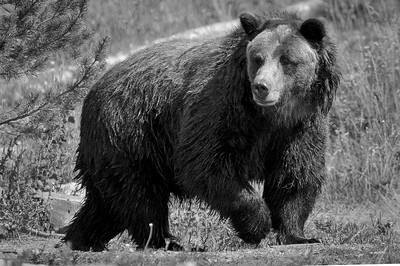 A pinnacle predator of Yellowstone, the Grizzly Bear. 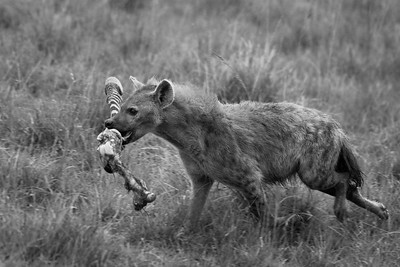 The faint image of a Jackal hovering near a recnt Lion kill on the plains of the Masai Mara. 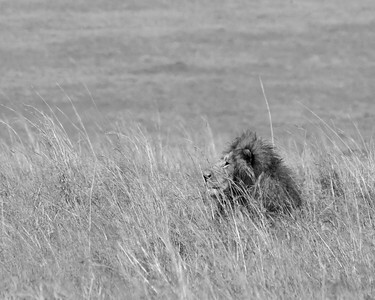 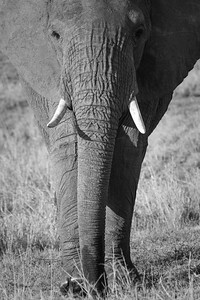 A large male Lion rest quietly on the Masai Mara.